The split-head hammer does the work of six different hammers because the face can be easily changed. 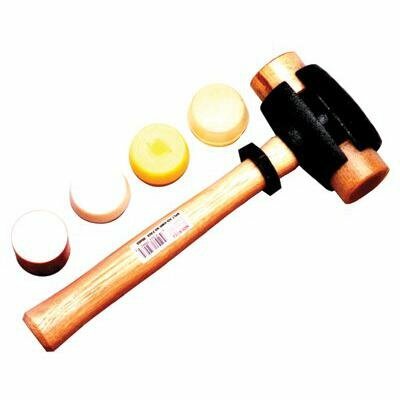 The base hammer has been the leading refractory hammer for decades. Used for installation and demolition of Coke ovens, blast furnaces, and other applications where refractory brick (firebrick) is being installed or removed. If you have any questions about this product by Garland, contact us by completing and submitting the form below. If you are looking for a specif part number, please include it with your message.